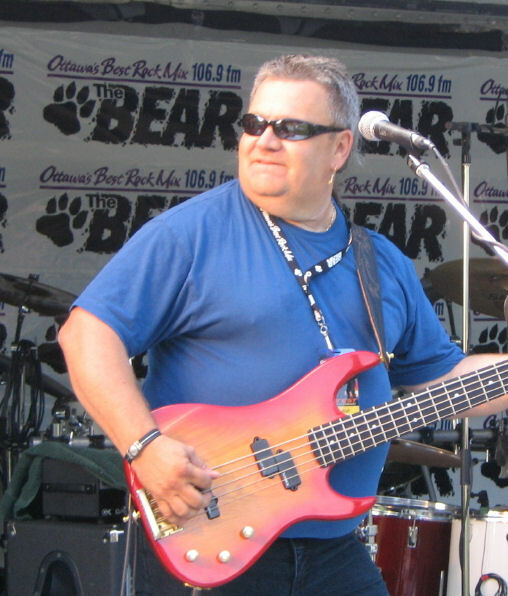 Bob started his career as a guitar player, but soon became addicted to bass. His numerous years of experience as a musician have brought him to play a wide variety of genres from country, folk and all kinds of Rock ‘n Roll. Bob took part in numerous projects such as Contre Coup, Face à Face and Sugar Cane, to name a few. Bob always likes to incorporate new sound textures and instruments into the mix. You will see him often switching from one instrument to another on stage while singing. A busy man. His musical influences are all over the place, but you can’t help thinking about Bob when you hear Pink Floyd on the radio.